← Thanks Very Much for the Free Flavorings! We seek the help of physicians because they have studied about human anatomy and health conditions for years and probably, even for a decade. Surely, they know the treatments and medications which would counter the effects of any abnormal or dysfunction happening inside our body. Be that as it may, every time that a doctor prescribes a specific drug, providers of medication compounding in Michigan Avenue Chicago Illinois still believes that it could not be abruptly concluded that such is safe altogether. So, are prescription drugs completely safe? Not all drugs are entirely safe even if we are taking them in the manner prescribed by our doctors. 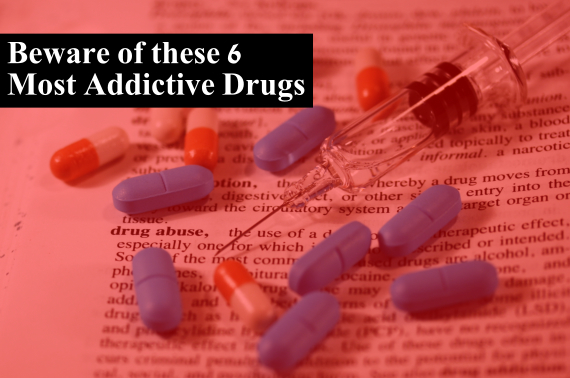 Every drug has a probability of being addictive and if you are prescribed with a medication containing any of the following, you should be extra careful. Well Future Pharmacy suggests that when your medication would include any of these, you should immediately ask your doctor what possible negative effects you might encounter. Xanax. Also known as Alprazolam, is a benzodiazepine prescribed by doctors in treating panic disorders and serious anxiety. This prescription drugs has relaxing effects as it calms the central nervous system of an individual which is irregularly functioning. Since it provides a ‘high’ and ‘calming’ feeling to its consumers, more tend to get addicted to this prescription drug. Oxycodone. Often used with Percocet, Oxycodone or OxyContin is an opioid which changes the way the nervous system respond to pain. It has a sedative effect on the individual taking it and is known to have almost similar effect to heroin. Although each pill would take hundreds of dollars, there are still a great number of users who get addicted to this supposed medicine. Klonopin and Valium. This prescription drugs has a seemingly analogous effect to that of alcohol for it causes its user to feel drunk, talkative, euphoric and relaxed. But everybody should beware in using this substance as a number of users have suffered blackouts and even death because of overdose. Codeine. Usually combined with other drugs to reduce pain and coughing, codeine provides a sedative effect and altered levels of consciousness when consumed in high levels or quantities. It can be found as an ingredient in cough syrups which are widely available in pharmaceutical companies. Amphetamines. This medicine is often prescribed to treat narcolepsy and attention-deficit hyperactivity disorder (ADHD) has been misused by individuals due to its energizing capacities. College students, drivers and night shift workers are among those reported to have misused such prescription drug. Ritalin. A stimulant which increases levels of dopamine, Ritalin affects the brain to increase focus and concentration. Since it has a tendency to create a habit forming effect and it is widely available, it has been recorded as one of the commonly abused prescription drugs. At the onset, it might be difficult to decipher whether one is already addicted to a prescription drug or not. For this very reason, everyone of us, the loved ones of these patients, should be responsible to check on them regularly. Whenever we start suspecting that they are already abusing their medication, we shall get help from experts- and this may require getting them into counselling or rehabilitation. This entry was posted in Pharmacy and tagged addictive drugs, pharmacy. Bookmark the permalink.